“It’s beginning to look a lot like…probate!” This grim twist on a classic holiday song is just what will happen if you don’t take the precautions necessary to protect your family after you have passed on. If you don’t know what probate is or if you’re not sure why it’s such a legal boogeyman, this article will help clear that up. Consider this scenario. Your close relative passes away. In the midst of the grief and dealing with funeral arrangements, you learn that she didn’t have an estate plan. Now, with all the other burdens that come with losing a loved one, you have to go to court and endure a lengthy, time-consuming process to have a judge (who doesn’t know your family) divide up your relative’s assets and even saddle you with some debt, if he or she chooses. Sounds awful, right? It is. This process is called probate. The probate court handles estates whose dispersals have not been planned after the death of the owner. The probate court divides up assets and debts, distributing the estate in the way that it sees fit. This winding up is not always done with the best interests of your family in mind—not because of bad faith on the part of the court, but because it doesn’t know your family well enough to know exactly where everything should go. To avoid this, you should engage in a process known as estate planning. Estate planning is also a process, except, in this case, it is one that will help your family. When you are planning your estate, you decide many important things, such as where your property will go, who will take care of your children, who your Power of Attorney will be if you’re incapacitated, and more. With estate planning, among many legal devices, you set up a living will and trust, and leave health care directives for hospitals and doctors in the event you’re incapacitated and unable to make decisions for yourself at that time. Through estate planning, you are able to avoid probate court by making the decisions that are best for your family. I have a last will and testament. Is that enough? A common misconception is that a last will and testament is enough to keep you out of probate court. In fact, when people think of estate planning, they probably just assume it’s making a will and shoving that document in the drawer until you die. However, that’s not what estate planning entails. The process is much more detailed and safeguarded. Your last will and testament is still subject to probate. You won’t get out of probate court that easy. Many experts look at last wills as an interim measure until your living trust and living will are set up. A last will and testament is not enough. To make sure you are 100% in the clear, with no probate court on your horizon, set up an estate planning consultation. One of the best parts about the holiday season is the many, many different celebrations that take place. From Christmas to Kwanza to Hanukkah, the holidays are a time for everyone to see their family and engage in celebrations. And, while you’re with your loved ones, it’s time to think about one of the best gifts you can get them—an estate plan that includes everyone. Sure, estate planning doesn’t sound quite as exciting as a new Xbox or a car, but, in the long run, it ends up being even more valuable (trust us). Estate planning is the process by which your assets, debts, and estate are assigned and distributed after your death. Think of your estate plan as a legal toolkit. If you open the kit, you will see many different documents, all of which pertain to a different aspect of your life. However, these tools all have the same goal: avoiding probate. Probate court is what happens if you do not have an estate plan. The court takes charge of your estate, dividing up assets and debts and winding down the estate in a way that is time-consuming and difficult for your family. A mere last will and testament is not enough. There are many different documents in an estate plan. Listed below are a few of the main ones. What’s in your legal toolbox? Power of Attorney. Your power of attorney is a trusted individual who you pick to manage your financial and healthcare decisions if you are sick or incapacitated to the point where you cannot make these decisions yourself. We all have that relative who we wouldn’t trust to babysit a rock, let alone make life-changing choices for others. By picking your POA yourself, you ensure that you are choosing someone who is competent and responsible. Living Will. Also known as an advance healthcare directive, a living will specifies what a person wants to have happen in the event of certain medical emergencies. This way, if you can’t tell a doctor or hospital yourself what you want, your directive will have the plan laid out for you. Living Trust. A trust is a three-party relationship. This relationship is of a fiduciary nature. The first party, known as a trustor, confers assets or property to a second party, the trustee, for the benefit of a third party, the beneficiary. The living trust allows for this fiduciary relationship to take place upon your death, when your trustee confers to your beneficiary the property with no probate court acting as middleman. TOD Sheets. TOD—Transfer on Death—sheets do just that: upon your death, property is transferred in the form of a deed. Morbid though the name is, this legal tool is really helpful and operable in many states. Estate planning also needs to include everyone you want. When you schedule a consultation, make sure that you have a thorough discussion about those you want to include. Don’t forget that you can—and should—make updates and changes to your plan whenever necessary. The above legal tools are just some of what can help you wrap up your estate quickly and efficiently when the time comes. The holiday season is fast approaching, and deciding what gifts to get the loved ones in your life can be a fun (if not a little stressful!) tradition. If you’re looking to get a unique gift that is long-lasting, beneficial, and durable for your family, think outside the box and consider setting up an estate plan. Estate planning is the process by which you decide where your assets will go after your death, what decisions will be made (and by whom) if you are incapacitated, where your debts will be assigned, and many more important decisions. Dismantling and distributing someone’s estate is a process, but it is far easier and cheaper to carry out when you have an estate plan than it is to go to probate court. Think of probate court as the Abominable Snow Monster. You want to avoid it at all costs because, unlike Bumble in Rudolph the Red Nosed Reindeer, probate court never turns out to be nice. Instead, probate is a lengthy, time-consuming legal affair that distributes your assets and debts with no regard to what is best for your family. But, don’t worry! In this article, we’ll tell you how to stay out of probate court by detailing what generally goes into an estate plan. (Remember, these are just a few of the many legal tools you can have in your estate plan). A living will, as you may or may not know, is also called an “advance healthcare directive.” The living will allows you to determine the healthcare decisions that will be made in advance if you are too incapacitated to give directions to the hospital yourself. A living will is useful for anyone over 18 to have because, once you are no longer a minor, your parents cannot give the hospital directives in your stead. It’s important to have a backup plan. A living trust details how you want your assets, property, and funds to be distributed after you die. It also will describe who will take care of your minor children (if you have them), as well as any specific instructions you have regarding your assets. The difference between this and your “last will and testament” is that a living trust is not subject to probate. A durable POA is a trusted individual that you name in your estate plan. He or she will make financial and healthcare decisions for you in the event that you are incapacitated. By naming the POA yourself, using your own judgment (as opposed to that of a probate court, who does not know your family dynamics), you can rest assured that you have someone who will handle your affairs responsibly. Your last will and testament details how you want your assets divided upon your death. This is different from a living trust because this does have to go through probate. Therefore, the last will and testament is mentioned in this list because it can be viewed as an intermediate document until your living will and living trust are set up. Again, these are just some of the many resources you have that will allow you to avoid the law’s Abominable Snow Monster. You can also set up forms detailing who your beneficiaries are, where your debts will transfer, and other important decisions, all of which wrap up your affairs properly. This Christmas season, give your family the gift of security and peace of mind by scheduling a consult to set up your estate plan. Winter weather is fast approaching (if not here already), and with it comes snow, sleet, and ice. But not in the lovely, sunny South Florida! While we’re lucky enough to not be iced over, your assets can still be frozen. Follow these tips to avoid having your assets frozen this winter. First things first: what are frozen assets? Frozen assets are owned assets that cannot be bought or sold in any way because of a debt that still requires repayment. 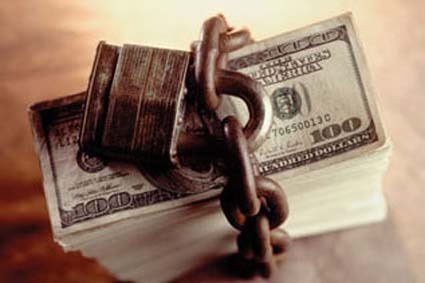 Until the debts are paid or satisfied, the asset’s owner cannot do anything with the asset. To understand how to circumvent frozen assets, it’s important to know how the process occurs. One way your assets can be frozen is in probate court. Probate, as those keeping up with these articles know, is the court that you want to avoid at all costs. If you die without an estate plan (which we’ll get to in a moment), your assets will end up in probate court to be distributed. The probate court also has to verify your will, if you have one. This process can take a long time, even more so if someone decides to contest your will. During the verification process, your assets are frozen. Even for time periods of up to several years, they can be frozen. If that wasn’t bad enough, once the court verifies your will, they will then distribute your debts along with the assets. This has the potential to cause your family hardship if they not only have to go through probate, but shoulder your debts at the end of the ordeal. To avoid sending your assets to the Age of Winter, an estate plan is key. Estate planning is the process by which you arrange for the management and distribution of your estate after your death or if you are incapacitated. Through estate planning, you can minimize taxes and ensure that your family will stay out of probate court and your assets left unfrozen. This important step ensures that a person’s wishes are upheld and their decisions, if they are unable to make them, are left to someone who they trust. It may be tempting to set aside the thought of estate planning for now—after all, not many people see their death as imminent—but that is not a wise choice. No matter how large or small, you do have an estate, and setting up arrangements for worst-case-scenarios is vital to your family’s financial health. Don’t let your assets be frozen this winter. Set up an estate planning consultation today.